1. 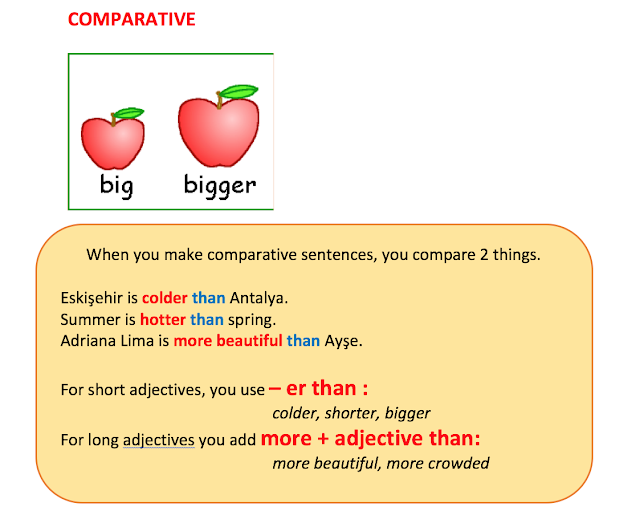 We use comparatives to compare two things.John is thinner than Bob. 2. 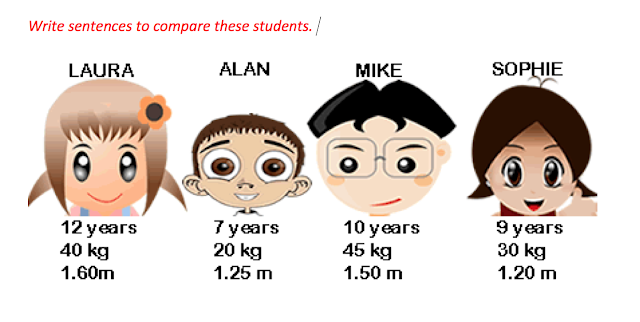 We use superlatives to compare one thing with the rest of the group it belongs to.John is the tallest in the class. 3- We can repeat comparatives to say that something is changing. 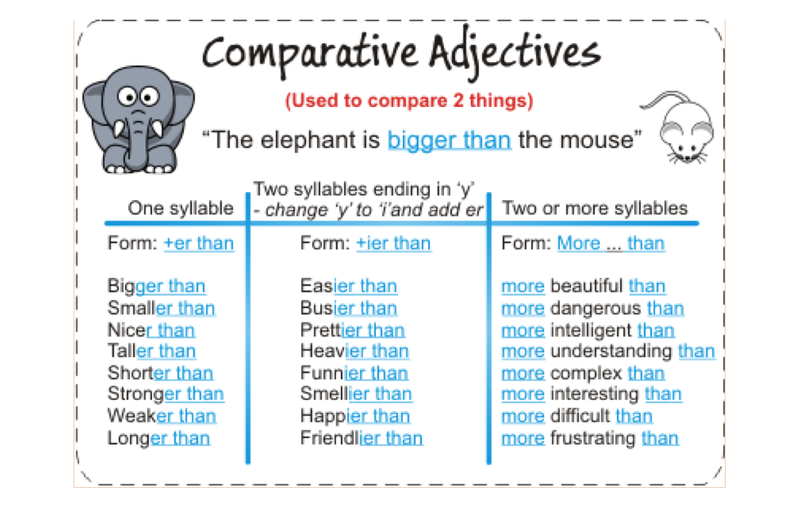 1- We use as + adjective + as or as + adverb+ as to say that two things are similar in some way. She sings as well as her sister. The little boy speaks English as fluently as his brother. 2- We use not as..as to say that two things are different in some way.He’s not as tall as me. I am taller than him. Jim’s car is not as fast as mine. My car is faster. She does not sing as well as her sister. Her sister sings better. The little boy cannot speak English as fluently as his brother. His brother speaks English more fluently.